Conversation: Christine Hill and Gene Frank | P! 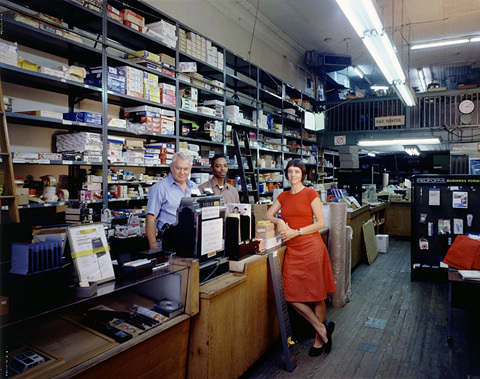 This closing event for the exhibition Process 01: Joy is a conversation between artist Christine Hill of Volksboutique and Gene Frank, proprietor from 1976 to 2002 of Joseph Meyer Office Supplies Inc., which was located at 48 Howard Street in Manhattan. Discussion topics will range from office work and printed matter, to the ins-and-outs of running a small business in New York City in the last decades of the 20th century.